Since 1993, our parent company, The Motley Fool Holdings, Inc. (TMF), has sought to help millions of people around the world attain financial freedom through its websites, podcasts, books, newspaper columns, radio shows and newsletter services. Motley Fool Asset Management (MFAM) was founded in 2008 to provide investment solutions for TMF’s newsletter members who wanted us to “do it for them.” The Motley Fool 100 ETF (Ticker: TMFC) is our latest answer for those investors. Thus, building off our parent company’s purpose, we exist to help the world invest better — effortlessly. 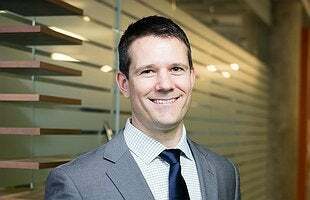 Bryan Hinmon is the Chief Investment Officer and Senior Portfolio Manager at Motley Fool Asset Management, having served in the CIO capacity since 2017. As CIO, Mr. Hinmon is responsible for leading the investment team, maintaining the firm’s investment philosophy, and managing client assets. Mr. Hinmon joined Motley Fool Asset Management in 2014 as Director of Research, responsible for leading the investment team process of sharing research and choosing which companies to invest in. Previously, Mr. Hinmon worked for the sister company of the Advisor, The Motley Fool, LLC, for more than four years. He helped manage internal capital for Motley Fool Pro, a service whose strategy embraces long/short equities and options. Mr. Hinmon also served as a senior analyst on Motley Fool Options for more than four years and led the company’s Analyst Development Program for two years. 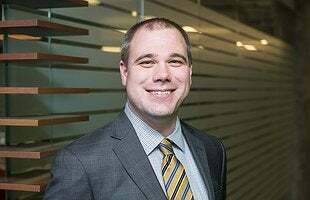 Tony Arsta is a Portfolio Manager at Motley Fool Asset Management, having served in that role since 2009. Mr. Arsta complements his growth at a reasonable price investing focus with applications of statistical analysis and investor psychology. After joining The Motley Fool in 2008, he contributed his writing and analysis to several Motley Fool newsletter services. Mr. Arsta earned his M.B.A. with distinction from DePaul University, with a concentration in finance, and also holds a B.S. in computer science from the University of Wisconsin, Madison. Invest in TMFC today through your online broker! The investment advisor for the Fund is Motley Fool Asset Management, LLC (“MFAM”). Shares of the Fund are distributed by Quasar Distributors, LLC, a registered broker-dealer not affiliated with The Motley Fool. © 2009–2018 Motley Fool Asset Management, LLC. All rights reserved. Use of this website is governed by the Terms and Conditions. The content contained on this website is provided to users "AS IS" without any express or implied warranty. By clicking OK you will be connected to a third-party web site. The link takes you to content that is controlled by others on a separate server. We do not endorse any other website, its sponsor, or any of the policies, activities, products, or services offered on the site or by any advertiser on the site. The views are those of ETF management and may be subject to change. Commentary and content should not be considered as an offer to sell or a solicitation of an offer to buy or hold any securities. News items reference individual securities that may or may not currently be held by the Motley Fool 100 ETF.